Get out of town with these interesting Venice side-trips: Padua (Scrovegni Chapel & Basilica di Sant’Antonio). And it doesn't end there: contemplate the waterfront views at Canal Grande, take in the views from Ponte di Rialto, examine the collection at Museo Ebraico di Venezia, and browse the exhibits of Doge's Palace. To see more things to do, reviews, where to stay, and tourist information, you can read our Venice journey maker tool . Curitiba, Brazil to Venice is an approximately 17-hour flight. You can also do a combination of flight and train; or do a combination of flight and train. Traveling from Curitiba to Venice, you'll lose 4 hours due to the time zone difference. May in Venice sees daily highs of 26°C and lows of 15°C at night. Finish your sightseeing early on the 1st (Sat) to allow enough time to take a train to Verona. Verona is known for nightlife, historic sites, museums, nature, and parks. Your plan includes some of its best attractions: explore the ancient world of Arena di Verona, admire the landmark architecture of Casa di Giulietta, take in the spiritual surroundings of Basilica di San Zeno Maggiore, and wander the streets of Piazza delle Erbe. To find other places to visit, reviews, maps, and tourist information, use the Verona itinerary tool . Traveling by train from Venice to Verona takes 1.5 hours. Alternatively, you can drive; or take a bus. Expect a daytime high around 34°C in June, and nighttime lows around 20°C. Finish your sightseeing early on the 5th (Wed) to allow enough time to take a train to Rimini. Start off your visit on the 6th (Thu): appreciate the extensive heritage of Borgo San Giuliano, then snap pictures at The Tiberius Bridge, then delve into the distant past at Arco d'Augusto, and finally tour the pleasant surroundings at Playa del Sol. For traveler tips, ratings, other places to visit, and more tourist information, read our Rimini trip planning site . Take a train from Verona to Rimini in 2.5 hours. Alternatively, you can drive; or take a bus. While traveling from Verona, expect little chillier days and about the same nights in Rimini, ranging from highs of 30°C to lows of 20°C. Wrap up your sightseeing on the 6th (Thu) early enough to drive to Trieste. Kick off your visit on the 7th (Fri): take in the awesome beauty at Carso Triestino, then make a trip to Piazza dell'Unita d'Italia, and then kick back and relax at Barcola. For more things to do, traveler tips, photos, and other tourist information, refer to the Trieste trip planner. Getting from Rimini to Trieste by car takes about 4 hours. Other options: take a train; or take a bus. June in Trieste sees daily highs of 32°C and lows of 21°C at night. Finish your sightseeing early on the 7th (Fri) to allow enough time to take a shuttle to Ljubljana. Get out of town with these interesting Ljubljana side-trips: Bled (Triglav National Park, Bled Castle (Blejski Grad), & more) and Skocjan Caves (in Divaca). Dedicate the 10th (Mon) to wine at some of the top wineries in the area. There's lots more to do: test your problem-solving skills at popular escape rooms, wander the streets of Ljubljana Old Town, take in the views from Tromostovje, and tour the pleasant surroundings at Tivoli Park. To see reviews, more things to do, ratings, and tourist information, read Ljubljana trip site . Traveling by shuttle from Trieste to Ljubljana takes an hour. Alternatively, you can drive; or take a bus. Traveling from Trieste in June, plan for a bit cooler nights in Ljubljana, with lows around 14°C. Finish your sightseeing early on the 12th (Wed) so you can travel to Vienna. Pack the 16th (Sun) with family-friendly diversions at Prater. Pack the 18th (Tue) with family-friendly diversions at Riesenrad. There's much more to do: take in nature's colorful creations at Schonbrunn Palace, hunt for treasures at Vienna Naschmarkt, stroll through Schönbrunn Zoo, and see the interesting displays at MuseumsQuartier Wien. For traveler tips, ratings, and more tourist information, read our Vienna trip itinerary maker website . Traveling by flight from Ljubljana to Vienna takes 3 hours. Alternatively, you can drive; or do a combination of shuttle and flight. In June in Vienna, expect temperatures between 29°C during the day and 15°C at night. Finish your sightseeing early on the 18th (Tue) so you can travel to Prague. Prague is known for historic sites, nightlife, museums, fun & games, and zoos & aquariums. Your plan includes some of its best attractions: wander the streets of Old Town Square, step into the grandiose world of Prague Castle, tour the pleasant surroundings at Prague Zoo, and don't miss a visit to Charles Bridge. To find reviews, photos, other places to visit, and tourist information, use the Prague vacation maker . You can fly from Vienna to Prague in 3 hours. Other options are to drive; or take a bus. Traveling from Vienna in June, expect nights in Prague to be about the same, around 15°C, while days are a bit cooler, around 26°C. Finish your sightseeing early on the 24th (Mon) so you can drive to Berlin. Berlin is known for museums, historic sites, nightlife, parks, and shopping. Your plan includes some of its best attractions: pause for some photo ops at Brandenburg Gate, examine the collection at Topography of Terror, don't miss a visit to East Side Gallery, and admire the natural beauty at Großer Tiergarten. To find traveler tips, other places to visit, and more tourist information, refer to the Berlin trip planner. Traveling by car from Prague to Berlin takes 3.5 hours. Alternatively, you can fly; or take a train. Finish your sightseeing early on the 29th (Sat) so you can take a train to Hamburg. Hamburg is known for museums, historic sites, nature, fun & games, and nightlife. Your plan includes some of its best attractions: examine the collection at Miniatur Wunderland, admire the striking features of Townhall, admire the masterpieces at Hamburger Kunsthalle, and get to know the fascinating history of Speicherstadt. Make your Hamburg itinerary with Inspirock to find out what to see and where to go. Traveling by train from Berlin to Hamburg takes 2 hours. Alternatively, you can drive; or take a bus. June in Hamburg sees daily highs of 24°C and lows of 12°C at night. Finish your sightseeing early on the 2nd (Tue) so you can travel to Copenhagen. Copenhagen is known for theme parks, historic sites, museums, nightlife, and parks. Your plan includes some of its best attractions: take a leisurely stroll along Nyhavn, step into the grandiose world of Amalienborg, take an in-depth tour of National Museum of Denmark, and take in panoramic vistas at Rundetaarn. To see traveler tips, reviews, and other tourist information, read our Copenhagen trip itinerary planner. Fly from Hamburg to Copenhagen in 4 hours. Alternatively, you can drive; or take a train. July in Copenhagen sees daily highs of 26°C and lows of 14°C at night. Cap off your sightseeing on the 7th (Sun) early enough to go by car to Malmo. Kick off your visit on the 8th (Mon): don't miss a visit to Little Square, make a trip to Stortorget, admire the landmark architecture of HSB Turning Torso, snap pictures at Oresund Bridge, then take in the spiritual surroundings of Lund Cathedral, and finally step into the grandiose world of Torup Castle. To find other places to visit, ratings, photos, and tourist information, use the Malmo planner . Drive from Copenhagen to Malmo in an hour. Alternatively, you can take a train; or take a bus. In July in Malmo, expect temperatures between 26°C during the day and 16°C at night. Finish up your sightseeing early on the 8th (Mon) so you can catch the train to Gothenburg. On the 9th (Tue), admire the natural beauty at Horticultural Gardens (Tradgardsforeningen), then admire the landmark architecture of Fish Church, then get to know the fascinating history of Haga, and finally get outside with Southern Goteborg Archipelago. 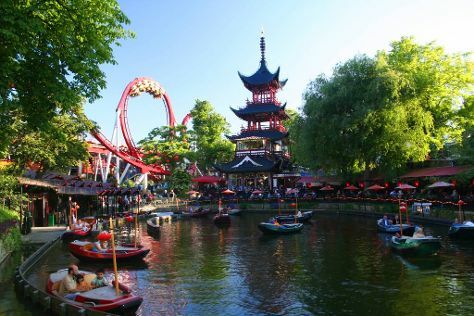 Get ready for a full day of sightseeing on the next day: tour the pleasant surroundings at Liseberg amusement park. For where to stay, maps, reviews, and tourist information, you can read our Gothenburg online trip itinerary planner . Getting from Malmo to Gothenburg by train takes about 2.5 hours. Other options: do a combination of train and flight; or drive. July in Gothenburg sees daily highs of 24°C and lows of 15°C at night. Wrap up your sightseeing on the 10th (Wed) to allow time to travel to Oslo. Oslo is known for museums, nightlife, historic sites, parks, and nature. 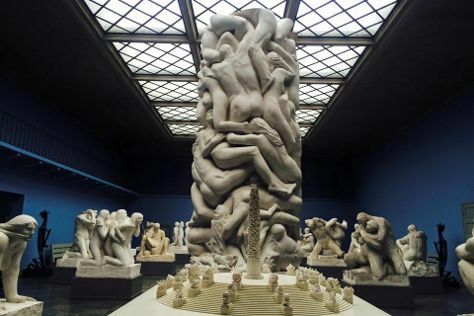 Your plan includes some of its best attractions: explore the world behind art at Vigeland Museum, take an in-depth tour of Viking Ship Museum, ski along the peaceful trails at Nordmarka, and step into the grandiose world of Akershus Castle and Fortress (Akershus Slott og Festning). To find reviews, ratings, photos, and tourist information, read our Oslo day trip planning app . Traveling by flight from Gothenburg to Oslo takes 3 hours. Alternatively, you can drive; or take a bus. Expect little chillier evenings in Oslo when traveling from Gothenburg in July, with lows around 11°C. Finish your sightseeing early on the 15th (Mon) so you can travel to Bergen. On the 16th (Tue), go for a walk through Stoltzekleiven, take your sightseeing to a higher altitude at Ulriken, then stop by Susan Fosse Knitwear, then take a leisurely stroll along Bryggen, and finally take in the awesome beauty at Mount Floyen and the Funicular (Floibanen). To see reviews, maps, photos, and other tourist information, you can read our Bergen road trip planning website . Traveling by flight from Oslo to Bergen takes 3 hours. Alternatively, you can do a combination of train, bus, and flight; or drive. While traveling from Oslo, expect a bit cooler days and about the same nights in Bergen, ranging from highs of 20°C to lows of 13°C. Wrap up your sightseeing on the 16th (Tue) to allow time to travel to Edinburgh. Edinburgh is known for historic sites, museums, nature, nightlife, and childrens museums. Your plan includes some of its best attractions: step into the grandiose world of Edinburgh Castle, take in nature's colorful creations at Royal Botanic Garden Edinburgh, explore the striking landscape at Arthur's Seat, and tour the pleasant surroundings at Calton Hill. To find more things to do, ratings, other places to visit, and other tourist information, use the Edinburgh trip itinerary site . You can do a combination of flight and train from Bergen to Edinburgh in 5.5 hours. Alternatively, you can fly; or do a combination of train and bus. Traveling from Bergen to Edinburgh, you'll gain 1 hour due to the time zone difference. In July, plan for daily highs up to 22°C, and evening lows to 12°C. Wrap up your sightseeing on the 21st (Sun) to allow time to travel to Reykjavik. On the 23rd (Tue), give your taste buds a day to remember with a local gastronomic tour. There's lots more to do: take in the architecture and atmosphere at Hallgrimskirkja, tour the pleasant surroundings at Nautholsvik Geothermal Beach, get your game on at Mink Viking Portrait Studio, and see the world from above with a helicopter tour. For ratings, more things to do, traveler tips, and more tourist information, read Reykjavik itinerary builder tool . Traveling by flight from Edinburgh to Reykjavik takes 6.5 hours. Alternatively, you can do a combination of train and flight. Traveling from Edinburgh in July, expect nights in Reykjavik to be about the same, around 10°C, while days are a bit cooler, around 17°C. Finish your sightseeing early on the 24th (Wed) so you can travel back home.